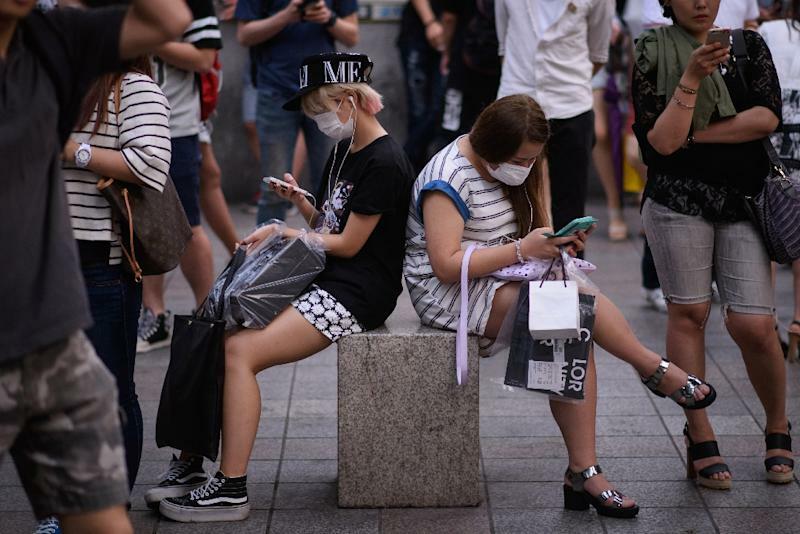 South Korea Monday reported its 16th death in an expanding MERS outbreak, as President Park Geun-Hye called for efforts to shore up the economy against what she called "excessive" public alarm. Seoul also declared five new patients -- bringing the total number of cases including the deaths to 150 -- as fears grew over the impact of the outbreak on Asia's fourth-largest economy. More than 2,000 schools, which had been closed nationwide, reopened Monday as the outbreak showed signs of slowing, the education ministry said, adding 329 schools and 126 kindergartens were still shut. Park, whose popularity has plunged due to the crisis, urged efforts to minimise the damage to the economy, saying consumer spending had dipped and the number of foreign tourists had plunged. "I am afraid the unexpected outbreak of MERS will quash the momentum of economic recovery," she told a meeting with advisers. "It is important to prevent the spread of excessive public anxiety and allow normal economic activities to resume quickly." More than 100,000 foreigners have cancelled trips to South Korea since the beginning of June, vice tourism minister Kim Chong said, adding foreign currency earnings would dwindle by $2.3 billion if the number plunges by 50 percent. "Our tourism industry is faced with a very dire situation," he said, promising financial aid worth 72 billion won ($64 million) to help tourism-related businesses. About 14.2 million foreigners, or about 1.18 million people a month on average, visited the country last year. A 58-year-old man who had been suffering from diabetes was the latest victim of Middle East Respiratory Syndrome, which broke out in South Korea less than a month ago. The country now has the largest outbreak outside Saudi Arabia and it is spreading unusually rapidly. The five new patients -- aged from 39 to 84 -- were infected in hospitals in cities including Seoul and Daejeon, 140 kilometres (90 miles) south of the capital. Among them was a nurse who had performed CPR on an infected patient in Daejeon and a man who was infected at Samsung Medical Centre in Seoul after accompanying his sick mother there. She later died of MERS. The hospital is the epicentre of the outbreak and more than 70 patients, visitors and medical staff there have contracted the virus. The health ministry said 17 patients remained in an unstable condition. Since then more than 5,200 people have been placed in quarantine. Park's administration has suffered a storm of criticism for what critics describe as a slow and inadequate response to the crisis. A survey by polling agency Realmeter showed Monday that Park's job approval ratings had plummeted by 10 percentage points over the past two weeks to 34.6 percent. Local businesses have reported a sharp drop in sales as people shunned crowded venues. Sales at department stores in the first week of June fell 25 percent from a month earlier, while the number of moviegoers dropped 55 percent, according to government data. A Morgan Stanley report showed last week that the outbreak -- if sustained for a month -- could trim the country's growth by 0.15 percentage points for this year. Concern over economic damage prompted the central Bank of Korea to slash its key interest rate by 0.25 basis points last week. However experts from the World Health Organisation said Saturday they had found no evidence to indicate transmission of the virus in communities outside hospitals. The Samsung hospital -- one of the country's largest -- suspended most services Sunday to help curb the spread of the virus. In Saudi Arabia more than 950 people have been infected and 412 died from the disease. 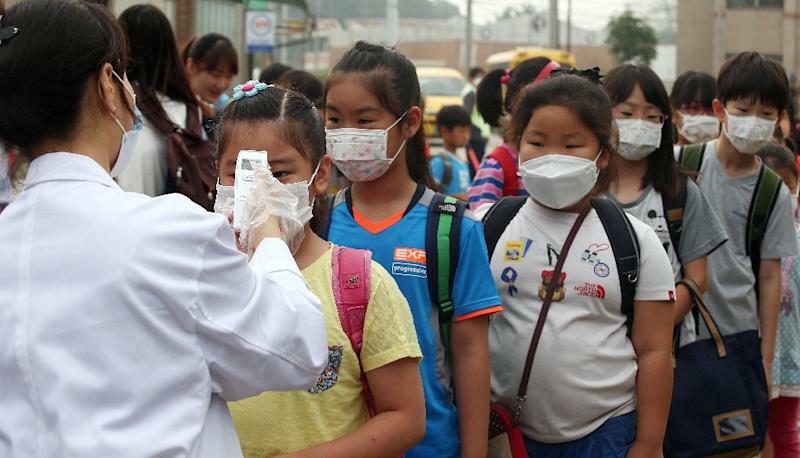 The South Korean outbreak has triggered concern elsewhere in Asia. Hong Kong last week advised its residents against non-essential travel to the South. North Korea has urged the South to ban trips to the Kaesong joint industrial zone in the North by southerners who had visited MERS-affected venues, Seoul's unification ministry said Monday.